A trip towards the clouds from the Land of Promise to the Summer Capital of the Philippines. Here I am joining the biggest explosions in the 7th National STEP Development Skills and Competition on November 19-24 held at Teachers Camp, Baguio City. After winning the full blast election as Regional STEP Board Organization (RSBO) President going to Baguio the representative of Region XI to adhere the election of National STEP Board Organization. As we arrived in Davao CIty, curiosity striked on the first timers riding a plane. At 1:45PM in the air gives us fulfillment that we successfully landed in Manila. Then a 7 hour trip in the bus going to the land of Pines enjoys us watching the places that we passed. Finally as we entered th territory of Baguio City the spirit of hospitality was given to us. With a great accomodation and wonderful apprecication surely we will not forget this place. But before thinking my strategy on the election, we must first enjoy our stay in Baguio City. We visited the tourist spots like Mines View Park, Botanical Garden, the famous Philippine Military Academy and other places. Baguio City is so beautiful even if their climate is so cold. As the event is ongoing the temptation is rising to such meeting my opponents in the north which I think upgraded students. At the time of election, my torch is slowly dying when Luzon made an alliance that NCR must be the director, but as I speak infront of my co-students and Mr. Joey Pelaez about my plans and the present problem of the STEP organization, they appreciated the sense of speaking delivered by the Mandaya Warrior that brought me to be the Director of the Board. After the election, the enjoyment from my heart burts as my schoolmated Jeffrey Dagooc ranked 5th place in the SMAW event with his coach Mr. Jovito Rosete and Vengie Ygonia the National Champuon in the Building Wire Installation with his coach Mr. Norman Tomas. 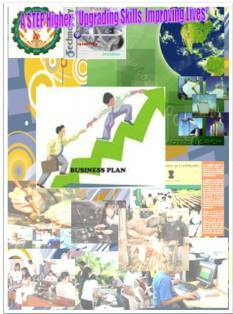 The Luponians are so proud that we will be going home bringing the experience and the achievements from Baguio City. The trip to the clouds has developed and enhanced our skills. 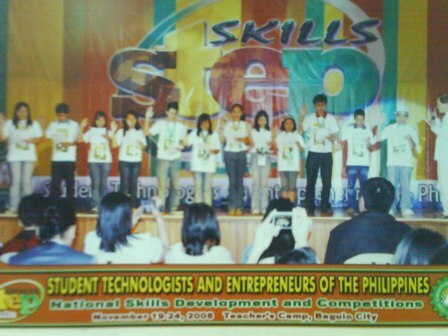 The 7th Student Technologists and Entrepreneurs of the Philippines-National Skills Development and Competitions, with the theme “A STEP Higher: Upgrading Skills, Improving Lives,” will be held in Teachers Camp, Baguio City on November 19 to 24. 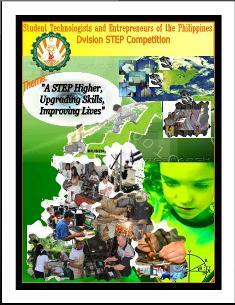 New features have been added to this year’s edition of STEP-NSDC. There are new and additional skills in Edukasyong Pantahanan at Pangkabuhayan (EPP) and Technology and Livelihood Education (TLE) categories. 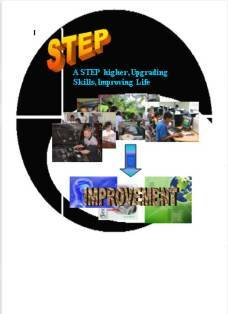 “With STEP, we want to provide pupils and students with practical experiences, technical know-how and opportunities in the different areas while developiung their leadership abilities and personal skills, and building wholesome character to strengthen national competitiveness and productivity,” said Executive Director Joey Pelaez of the Department of Education-Center for Students and Co-Curricular Affairs (DepED-CSCA), STEP’s national adviser. The elementary category has 11 skills while the secondary category has 21 skills for the competitions. Other skills are also open in hte secondary category such as Techno Quiz, Parliamentary Procedure, Business Planning, and Mr. and Ms. STEP. The Technical-Vocational Education (TVE) category will feature 27 skills which are open only to the technical-vocational high schools in the country.